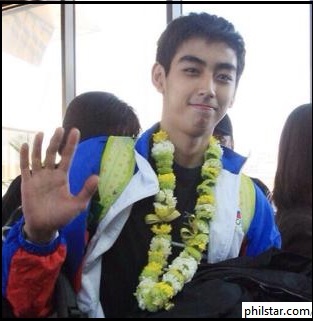 MICHAEL CHRISTIAN MARTINEZ, the lone Filipino Winter Olympian in Sochi arrived from Russia Sunday afternoon. The 17-year-old athlete was all smiles as adoring fans and supporters welcomed him. And then things got a bit awkward when Chavit Singson and Lito Atienza suddenly appeared in the background. Malacañang confirmed it has received a courtesy call request from the Philippine Sports Commission. But presidential spokesman Sonny Coloma said there’s no schedule yet since, “Medyo hectic ang schedule ng Pangulo sa darating na linggo dahil sa pagdiriwang ng EDSA 1 at pagpunta sa Malaysia para sa state visit.” You want the President to meet Michael in Malacañang? Here’s a tip: change his name to Janet Napoles. Tito Sotto also filed a resolution commending Winter Olympian Michael Martinez. According to Sotto, “Martinez has proved to Filipinos that with perseverance, determination and hardwork, it is possible to attain and fulfill one’s goals.” I will react to this statement as soon as I’ve verified that the words used were Sotto’s and not someone else’s. 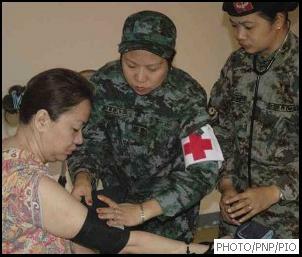 Suspected pork barrel queen Janet Lim-Napoles has asked the court to allow her to take a medical exam after allegedly experiencing profuse mentsrual bleeding recently. Doctors have yet to confirm if it’s a case of cancer or karma. According to Janet Napoles’s lawyer Bruce Rivera, the suspected pork barrel queen has been experiencing profuse bleeding recently. See? Even her own blood wanted out of her system. 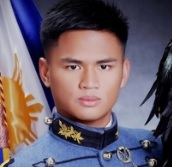 Brigadier General Noel Miano was charged with sexual harassment at the Sandiganbayan for allegedly groping an 18-year-old girl in 2011. He is a member of PMA Class ’81. 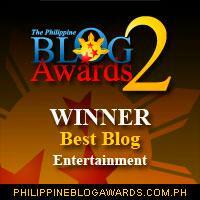 To be fair to Miano, the PMA’s Honor Code talks about lying, cheating, and stealing only. There’s no groping. Accused of corruption and human rights violations, Ukrainian dictator Viktor Yanukovych was ousted by massive protests in Kiev. Yanukovych was forced to leave the capital together with his children, and wife Imelda Romualdez Yanukovych. A popular uprising in Kiev has ousted Ukrainian dictator Viktor Yanukovych. Sketchy reports say the disgraced leader has fled Ukraine and is headed to either Paoay or Hawaii. Reigning world boxing champion Vitali Klitschko, is one of the more prominent leaders of the protests in Ukraine. Supporters say Klitschko is qualified to run for president in 2015. They insist that the popular boxer is decisive, brave, and an honest taxpayer. 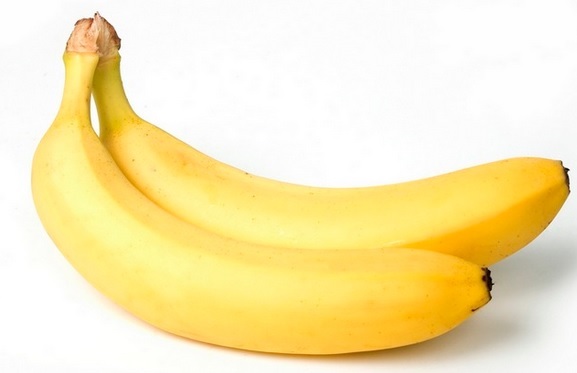 A court has decided to try three men accused of attempting to steal two bananas valued at 32 cents. People from around the world were shocked when they heard the news – Nicaraguans steal bananas and they get to be tried in court while Filipinos steal millions and they get to deliver privilege speeches. A 5-year-old pit bull named Micky mauled a 4-year-old boy. The attack was so vicious everyone in the neighborhood now hates the pit bull – prompting lawyer Raymond Fortun to volunteer as the pit bull’s spokesperson. Dapat bang tanggapin bilang state witness si Ruby Tuason? Dito sa amin, funded by the Lower and Upper House of Liars, matagal ng may vaccine. Immune na immune na sa hiya. Pagkakatapos nga ng “in aid of legislation,” mas mataas pa ang rating kaysa noong hindi pa nabubulgar ang pagnanakaw at pagsisinungaling. But there was a quantum-anomaly. May nagbaril ng nalaman na maliit lang yung “pabaon” na tinanggap niya.. Patay. Yun lang. Hindi na ulit naulit.